The recent good fortune of the US women’s team, particularly in sprinting had me thinking a bit about measuring team performance in sprint events at a high level. 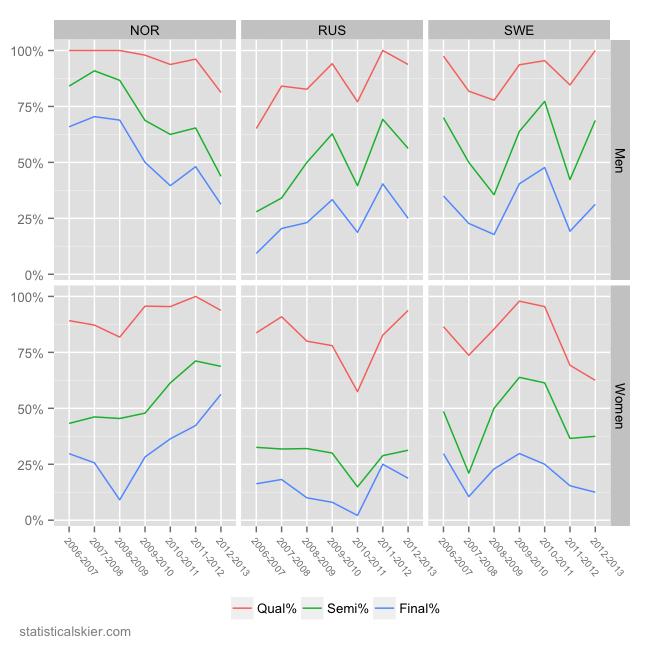 The result was the following plots which show the rate at which the the top skiers (the top 4 in this case) in each race race one of three levels: qualification round, semifinals and finals. The US women have seen an enormous spike in their qualification rate, a steady climb in reaching the semis and the finals rate has been more or less flat, as basically only Kikkan is getting up there at this point. Andrew Newell has had a somewhat stronger start to this season than he has in the past, so the finals and semis rate for the US men has ticked up slightly, but the qualification rate has continued its slow decline. 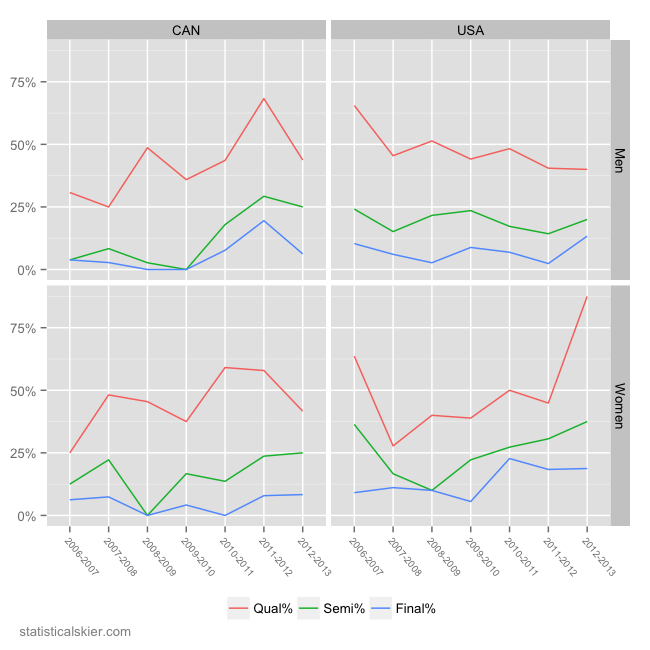 The Canadian women don’t look as bad off as I thought they would, although the qualification rate has certainly declined. Posted by Joran on Thursday, January 3, 2013, at 6:00 am. Filed under Analysis, World Cup. Tagged Analysis, men, Sprint, women, World Cup. Follow any responses to this post with its comments RSS feed. You can post a comment or trackback from your blog.